The Prophet’s Desire to meet his brothers who came after the Sahaabah: They are known by their distinguishing signs! So the intent here of the Prophet (ﷺ) is that you (the companions) are more distinguished than my brothers, because you are my brothers and my Companions. So the Books that Allaah (the Most High) revealed, and the Laws; He did not legislate them and reveal them to His noble Messengers (alaihimus-salaatu wassalaam) except as a guidance for the people, and to distinguish truth from falshood, and guidance from misguidance. And Allaah (the Most High) threatened to curse those who hide the truth. And you see the end result of that?! Unite the people from the various factions of innovation, those who will be prevented from the Hawd: the Khawaarij, the Ikhwaan, the Soofees – then cause them to charge against the rulers in the so-called Arab Spring; and then out of that came the armies of the devil himself, Daesh (ISIS), and others. So the brothers that the Messenger (ﷺ) desired and longed to meet are the people of Sunnah, not ahlul-Bid’ah. His brothers are those who will meet him at the Hawd: they are Ahlus-Sunnah wal-Jamaa’ah, the people of Hadeeth, the righteous believers who followed his path and the path of the Sahaabah and clung to that with their molar teeth – they are those who adhere to the madhhab of the Salaf. Who are those people in our times? 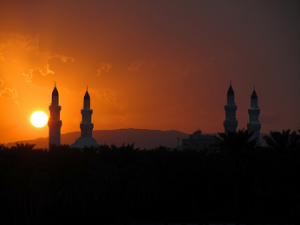 They are without doubt the Salafis – those who patiently hold on to truth whilst bearing the onslaught from the people of bid`ah and opposition. They are the brothers whom the Prophet (ﷺ) described and desired to see – they are the ones who will drink from the Hawd. May Allaah make us from them.